Hear Ye, Hear Ye! 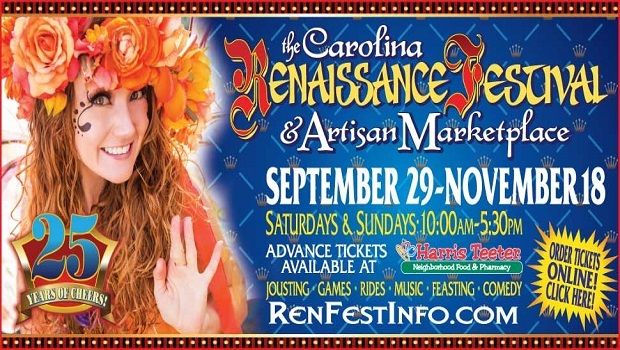 The Carolina Renaissance Festival is Back: Sept. 29 - Nov. 18, 2018! 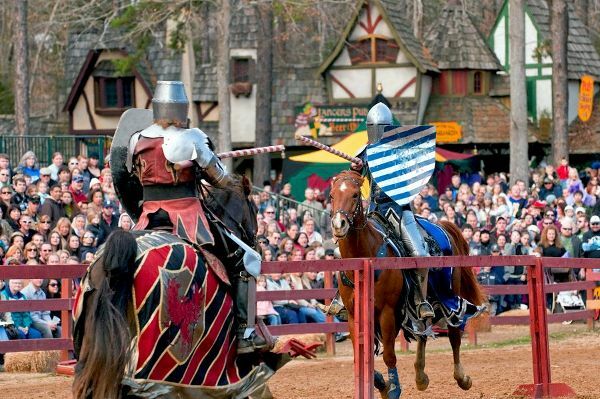 Time travel to the Carolina Renaissance Festival where history comes alive with non-stop day-long entertainments, arts and crafts, games and rides, jousting knights on horseback, feasting and so much more! Each day inside the 25 acre Village of Fairhaven is filled with an abundance of attractions and entertainments for all ages! Enjoy your best day out in history 8 consecutive weekends, September 30th - November 19th. Details online at Carolina.RenFestInfo.com. 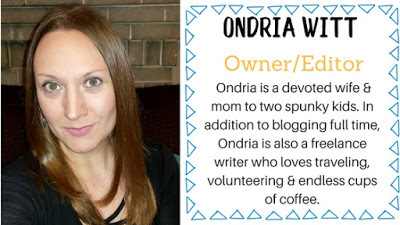 My readers get to save with your visit! FREE Child Admission! 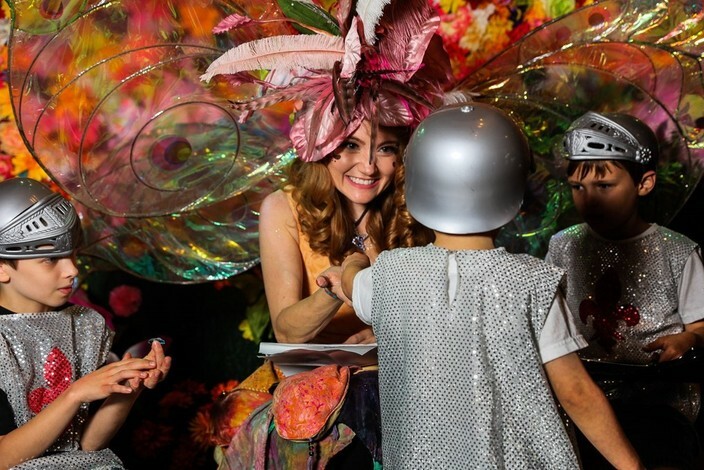 - Receive one FREE child admission for children age 5 - 12 with purchase of one full price adult ticket at Festival gate. Children under 5 are always free. Coupon is valid at the Festival ticket booth! Grab more info on this deal! Have you ever been to the Carolina Ren Fest? Our family goes every fall and we always have a blast! Hope to see you there this year!